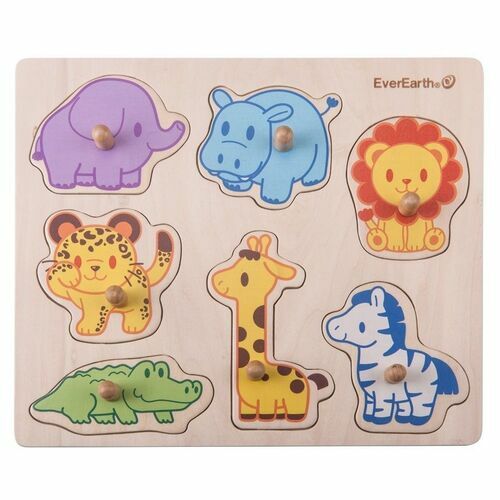 This safari themed puzzle develops children's hand-eye coordination skills as well as teaching them to recognise different shapes and animals. 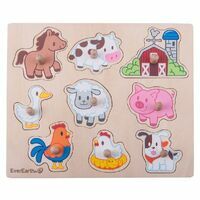 Chunky wooden pieces with easy grasp pegs are ideal for little fingers to grasp pieces easily and fit the shapes into their proper spaces. 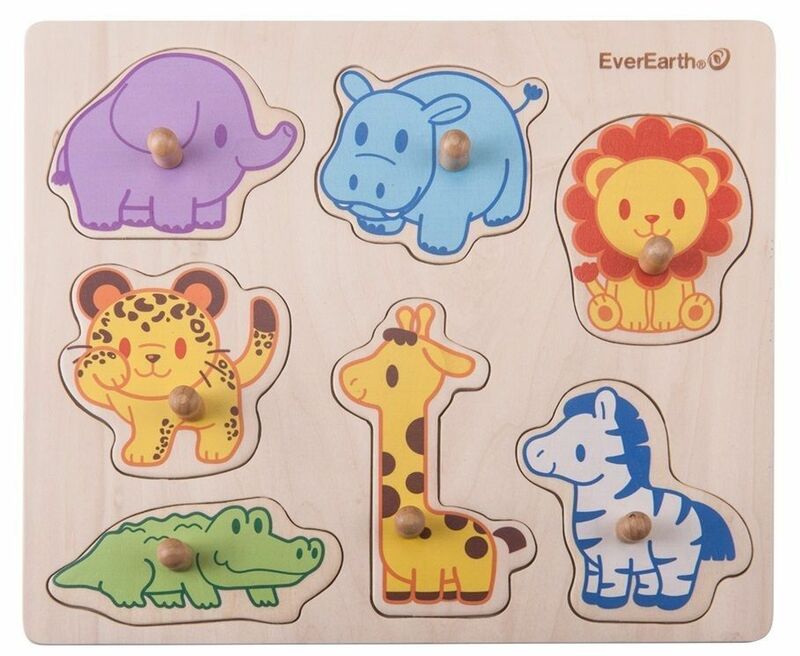 Made from high quality Beech wood.